DAN is a recreational diver association committed to scuba diving safety. The network is a non-profit medical and research organization dedicated to the safety and health of recreational scuba divers throughout the world. Founded in 1980, DAN has served as a lifeline for the scuba industry by operating diving’s only 24-hour emergency hotline, a lifesaving service for injured divers. Additionally, DAN operates a diving medical information line, conducts vital diving medical research, and develops and provides a number of educational programs for everyone from beginning divers to medical professionals. International DAN (IDAN) is comprised of several independent DAN organizations based around the world to provide expert emergency medical and referral services to regional diving communities. If you go diving anywhere, write down the number of your local DAN office beforehand – they are the ones who can help you efficiently in case of a diver emergency. For more information about DAN please visit their website here. Reef Buddies encourages safe diving practices to make sure you get the most out of scuba diving. One of the most important considerations when planning your dive is to use good judgement and to always err on the conservative side if you’re unsure about a situation. Always stay well within the limits of your dive planner or dive computer and apply safe diving practices as you learned in your course. It’s a good idea to review your course handbooks and other diving literature regularly to refresh your memory. You might also want to take a scuba review course if you’ve been inactive for a while and are planning to get back into the water. Below are some general guidelines you can follow to make sure you and your buddy stay safe under water. Stay well within the limits of your dive planner or dive computer. Keep fit and eat healthy to stay in shape. Use good judgement and err conservatively: If you don’t feel up for a dive, it is no shame to change locations or to do the dive another day. Use proper equipment and maintain your gear properly. Your cylinder, regs and BCD should be inspected at least once a year by a professional. Regularly refresh your diving knowledge and take refresher courses if you haven’t been diving for some time. Advance your skills and dive knowledge by continuing with your dive education. Learn from more advanced divers. Always ascend at a safe rate and make sure to allow for enough air for a safety stop. Please note that these are only guidelines, and you as a diver are solely responsible for planning your own dive. 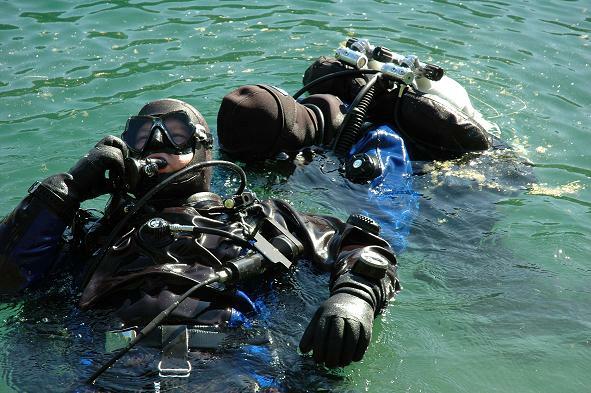 If you have any questions or are unsure about a certain situation, talk to your local dive centre.